Sporting dogs — setters, pointers, retrievers, and spaniels — were developed to help firearm-equipped hunters locate game birds, flush the birds from hiding places so that they could be shot, and bring back the dead and injured to the hunter’s hand without further damage. Thousands of sporting dogs are dual-purpose animals: Family pets who roll around with children by day and sleep on the beds by night are working dogs who spend fall weekends joyously slogging through half-frozen fields with the hunter of the family. Some of the best dogs for families are sporting dogs, which includes the first and second most popular breeds, the Labrador and Golden Retrievers. They’re great dogs for people with an active lifestyle as most sporting dogs have energy to burn. Small- to medium-sized breeds (24 to 50 pounds): American Water Spaniel, Brittany, Cocker Spaniel, English Cocker Spaniel, English Springer Spaniel, Field Spaniel, Sussex Spaniel, Welsh Springer Spaniel. Large breeds (50 to 80 pounds): Chesapeake Bay Retriever, Clumber Spaniel, Curly-Coated Retriever, English Setter, Flat-Coated Retriever, German Shorthaired Pointer, German Wirehaired Pointer, Golden Retriever, Gordon Setter, Irish Setter, Irish Water Spaniel, Labrador Retriever, Pointer, Spinone Italiano, Vizsla, Weimaraner, Wirehaired Pointing Griffon. 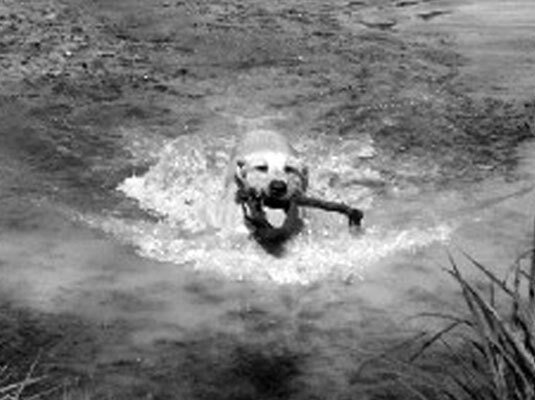 Many sporting dogs are also water dogs and swim every chance they get. Popularity often breeds disaster, and that’s certainly true of some breeds in this group. Health and temperament problems caused by bad breeders can make the dog’s life — and yours — a misery. Find a reputable breeder especially if you’re going for a Labrador or Golden Retriever or a Cocker Spaniel — the poster dog of problems stemming from popularity. Many sporting breeds have both show and field versions. Show dogs are bred with lots of coat and a more laid-back attitude while field dogs are bred for hunting instinct, a more practical amount of coat, and an intensity for work that is a must in the field. Unless you intend to hunt with your pet, a dog from a reputable show breeder is probably a better bet, because the energy and intensity of a field-trial dog can be a poor fit with all but the most active households.